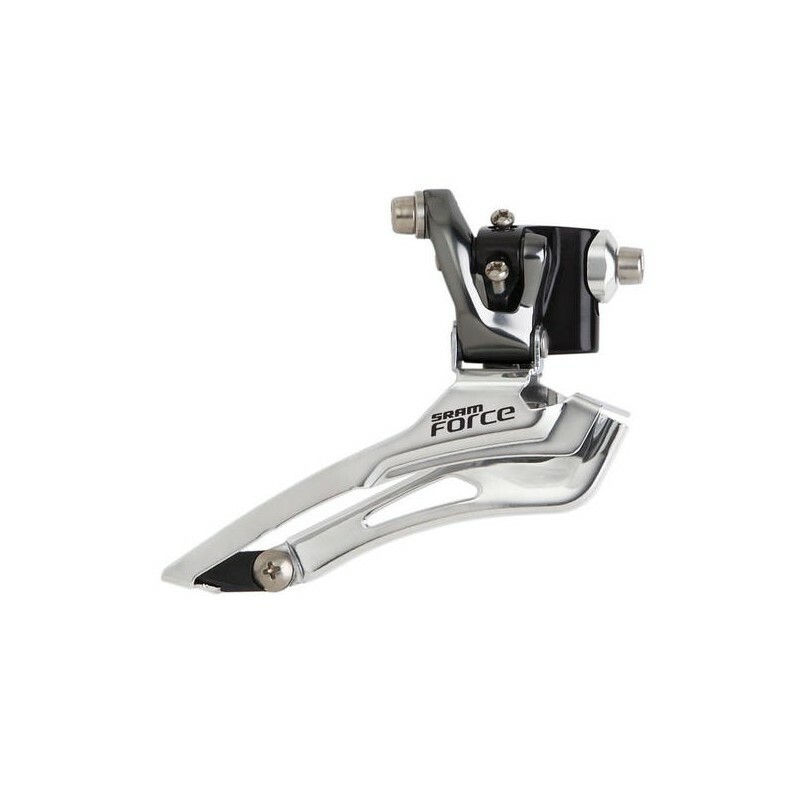 The SRAM Force Front Derailleur achieves the critical balance between positive downshifts and light-action upshifts. It features a unique design maximized for 10 speed drivetrains. 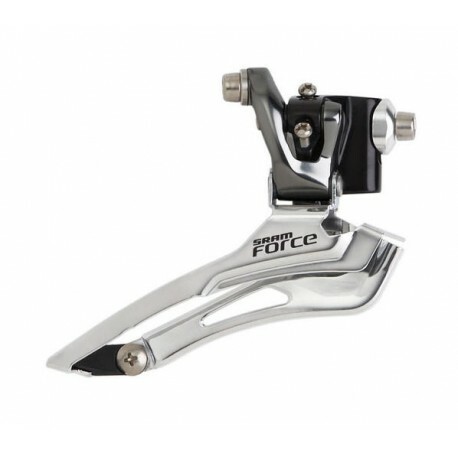 Working in tandem with the SRAM Force DoubleTapÂ® controls, the SRAM Force Front Derailleur allows you to trim your shifting on the big chainring for seamless gear changes. One size fits all on the SRAM Force Front Derailleur: utilizing a standardized design that shifts perfectly with both traditional-size chainrings as well as the popular compact-size ring sets.